A suggested word list and a “Costume Design Sheet” will be coming home soon to help you prepare. 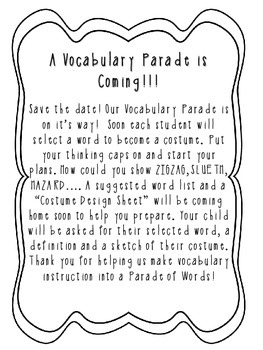 Student will be asked for their selected word, a definition and a sketch of their costume. 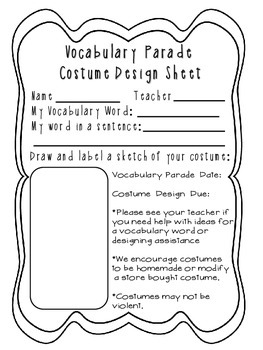 Make your vocabulary instruction into a Parade of Words!